The Old Feld Home is a turn of the Century Mansion. 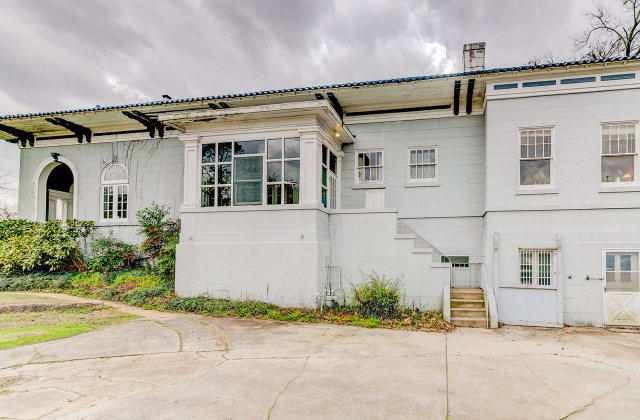 National Registered Historic Property and Mississippi's outstanding example of Mediterranean Roamanesque Architecture built in the shape of an H. The overall layout provides for complete Privacy. 5000 sqft with butlers parlors and more. 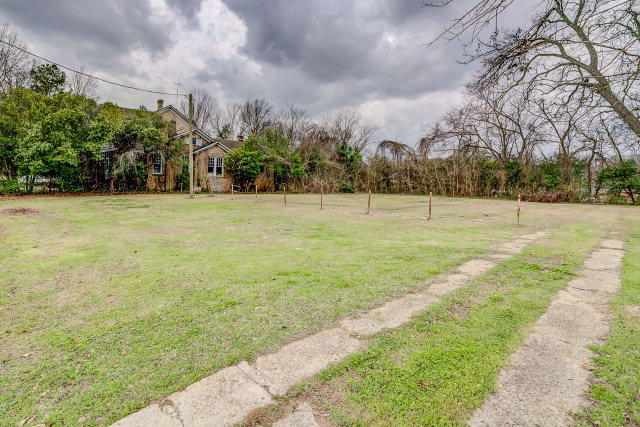 Raw acre next to home is included in sale. Commercial or res. 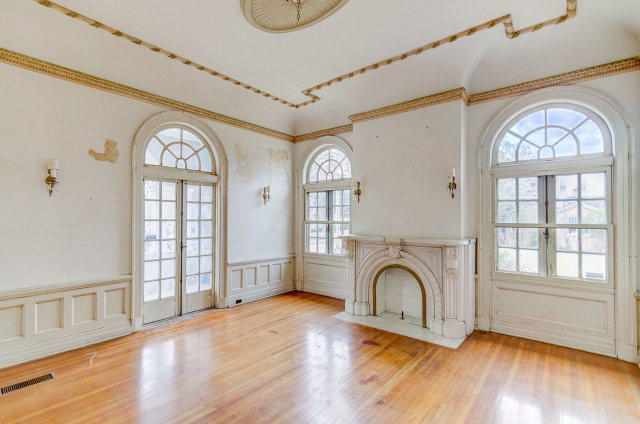 Rooms include a receiving hall with two window seats, Parlor with Italian Marble Mantle, 3 bedrooms with connecting bathrooms, Conservatory, Dining Room, Breakfast Room, Butler's Pantry, two connecting enclosed porches (one Extra Bedroom, two service Hallways, basement, 2 1/2 baths and domed entrance in Foyer. 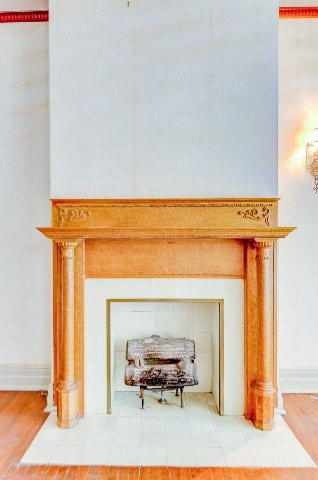 Fireplaces are located in Parlor, Dining Room, Breakfast Room and one Bedroom. 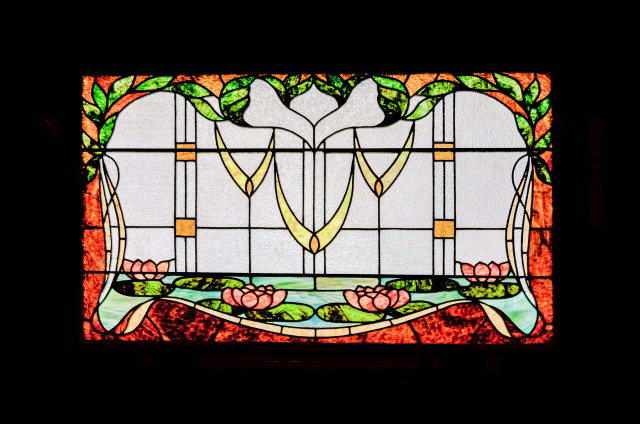 Portions of the interior were designed by Harry L. Mossed (1875-1933), Interior Designer, New Orleans. Don't miss this once in a lifetime opportunity to purchase a one of a kind. 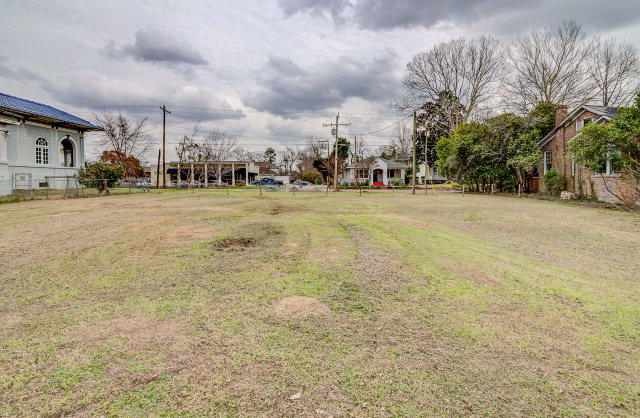 One acre lot beside home is included in sale. Property is zoned commercial or residential. Bed and Breakfast, restaurant or private home this one has it all. Possibilities are endless. 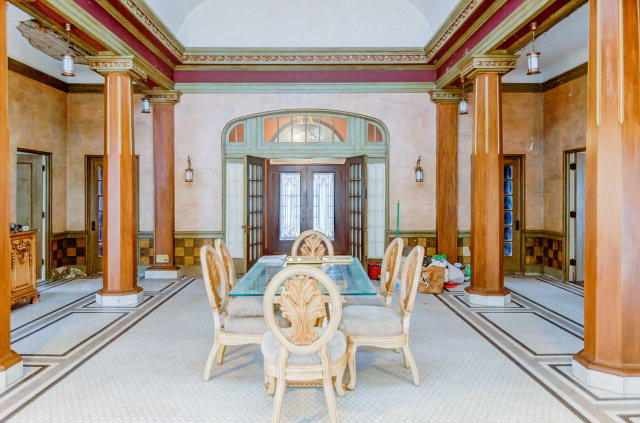 I prefer an old-fashioned Second Empire or Italianate, but this Italian Revival is stunning! And you can’t beat the price. I can almost hear the gentle noises of social events held by the original owners in their Edwardian finery when looking at some of the photos. Oh my word! Those bathrooms must have been the height of luxury 80+ years ago. I’ve never seen bathtubs of that size in a bathrroom of that era. 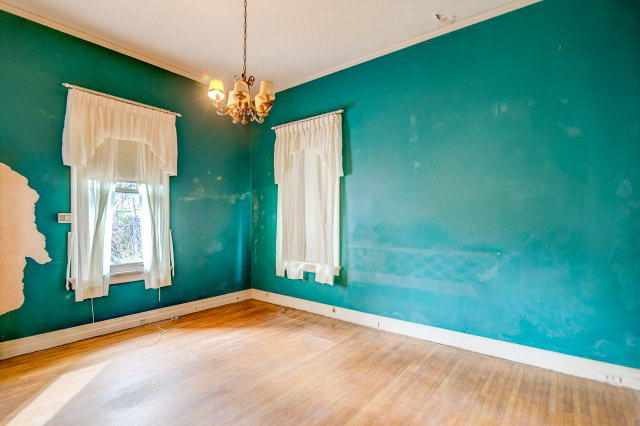 What a gorgeous home and what a lucky find for the right buyer! The house outside was amazing, but landscaping /lack of appeared neglected, but 1st interior pic was a shock! This place could be amazing!!!! 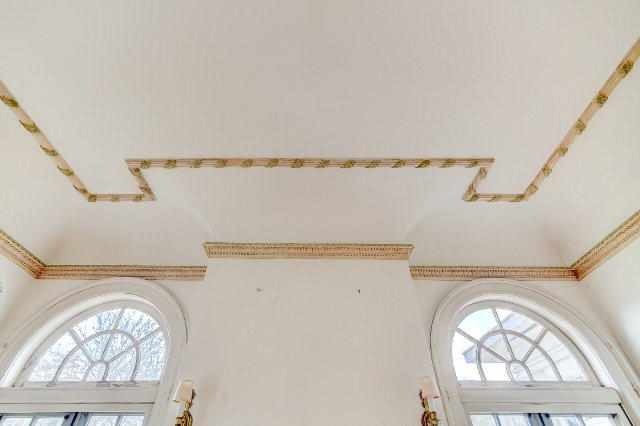 What an awesome home…..I would be checking the roof as I see plaster coming down in the dining room..14th picture. 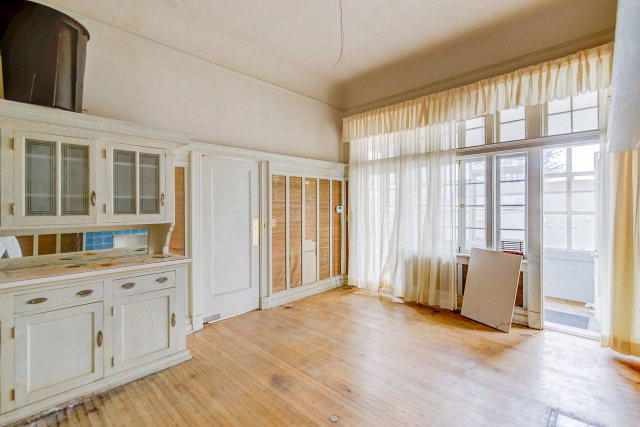 But what a great house and space….I would move in a NY minute. And to comment again because I forgot…I love that the address number is incorporated into the gate fence! I am ready to move in and start event planning. 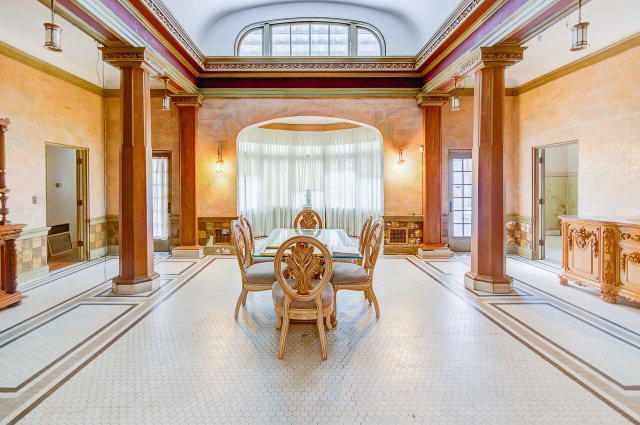 A stunning house; a palace, really, and the price??? Do they need school teachers in that area? I used to practice law but resigned from the SC Bar after I moved to Florida. Does MS make you take a bar exam? 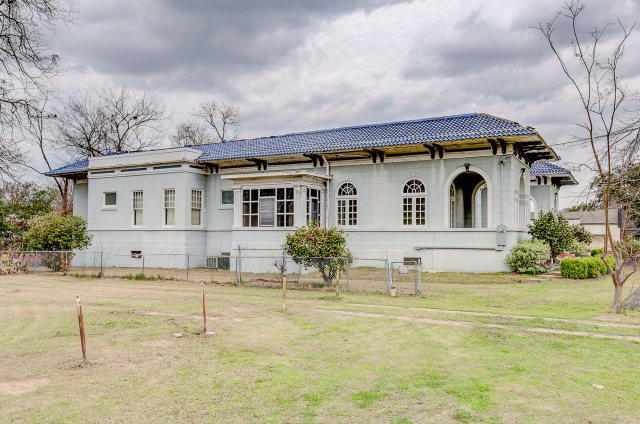 Even in this western Mississippi city known for outstanding period architecture, this is a gem of a house. 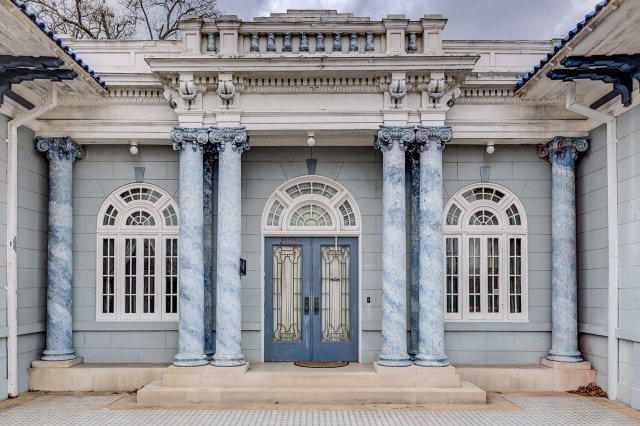 The scored stucco that imitates stone block and the prominent Palladian-inspired twin front projections point to the style. 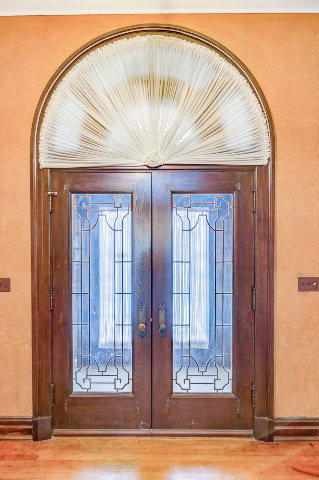 The roof and the use of paired eave brackets reflect another Italian-inspired style popular forty years earlier. What we see of the interior is equally special. Hope the new owner has the experience and talent (or maybe just the funds to hire) to fix this up as it was originally. Not sure if there’s been water damage or what kind of problems caused the numerous plaster issues. If it’s roof, hope it’s fixed. And hope it stays residential. Agree Jenna, the grounds are just waiting to be revived. 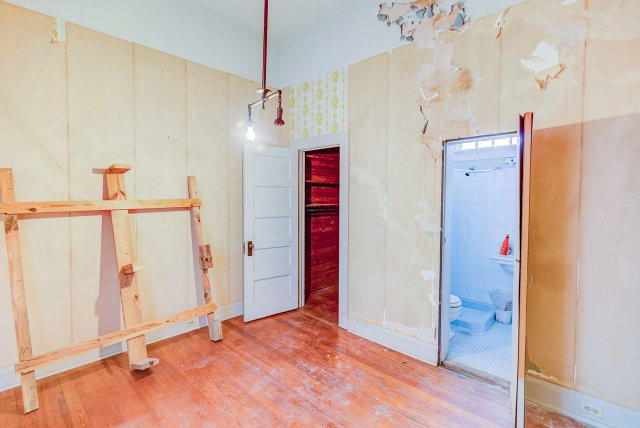 The photos are confusing – would be great to see a room plan or house diagram – or maybe just an in-person tour! What a glorious find. I am, in a word, gobsmacked. The bathrooms (fabulous!) date from either the very late 1930s or even as late as 1950. The hint of a kitchen is tantalizing. 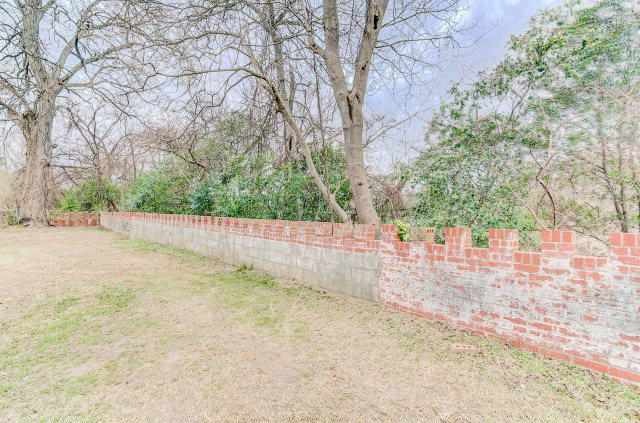 The street view shows a large tree in the left front yard, absent in these pics? I prefer with the tree. The tree in the front yard was a casualty of Hurricane Katrina. The street view was taken in 2013 Katrina was many years before then. Interior is just breath taking. Next door and across the street commercial buildings, yuck. Good point. The real estate agent told me the tree came down with Katrina, but you’re correct about the 2013 street-view. Unfortunately, the tree was rotten inside so he took it down a couple years ago. 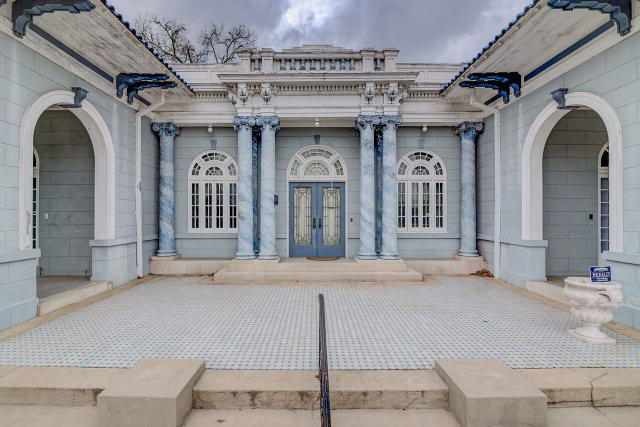 Stunning house, but once again, what do you do with it? (apparently it was used as an antique store). Even if someone did want to live on that scale, I doubt they’d pick this neighborhood. Restaurant/functions? Maybe. But you have competition in the area. It would be a wonderful wedding venue. This house sold at auction a few years ago for just under 100K. I have been in it years ago when Russell Puckett owned it and it was an antique shop as well as his home. While they have done interior cosmetic work the heavy lifting on this one will involve the roof and soffit as well as a kitchen. 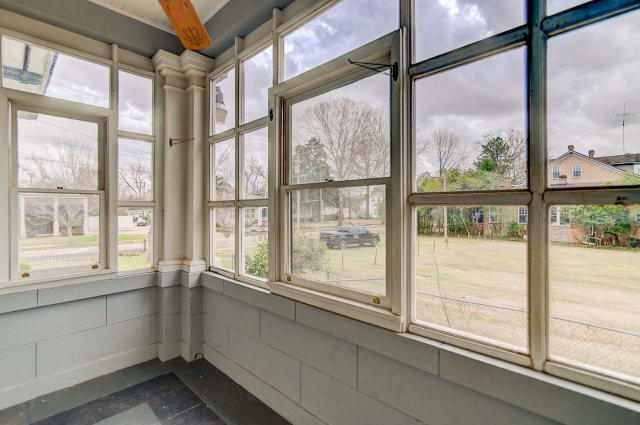 The large tree you see in the street view fell on the house during a hurricane and created some damage.The market in vicksburg for old houses is weak, these places sell cheap. There are many pretty old mansions and a block away there is some of the most abject poverty that you have ever seen. But i like vicksburg and think it is a cool old town. This particular house has wonderful style. Thanks for the background. Too bad about that tree! 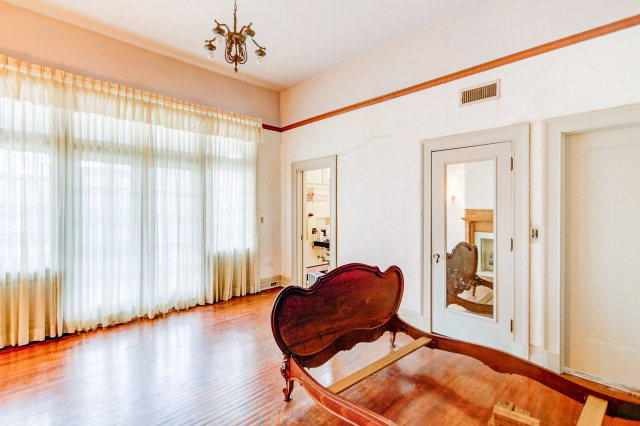 It’s a gorgeous home and I hope someone will buy it and do that heavy lifting. It looks as if the roof has concealed gutters along the edge. I’m guessing the tile roof is original. Perhaps you know. I’m guessing the roof is in need of having the flashing redone. It would be well past it’s life span, even if it was copper! I agree, the heavy lifting will be the roof, soffit and kitchen. The Old Feld Home is going to be an expensive repair. 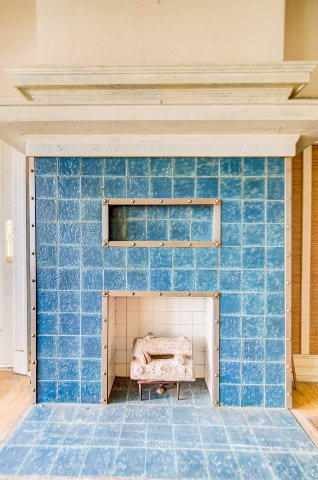 As a home on the National Register it is bound by The Secretary of the Interior’s Standards for Rehabilitation and illustrated Guidelines for Rehabilitating Historic Buildings. 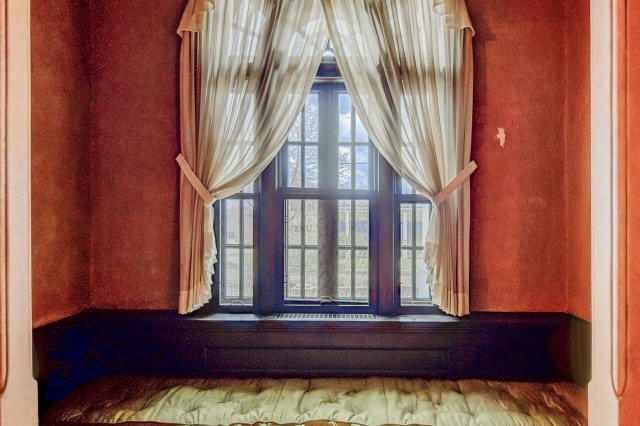 The windows and roof embody the original architecture and they are to be preserved and can only be replaced in kind. The roof was damaged by hurricane Katrina. The blue roof tiles were custom and unique. According to court records, the cost to repair the wood and roof was $119,300. Russell Puckett wasn’t convinced that the roof didn’t still leak after the repair. The tile had to be custom made. The Vicksburg Post interviewed Russell Puckett’s associate and he said the chemist charged $600 to develop the formula. The color wasn’t right on the first order and the manufacturer had to throw it away and send another order. The kitchen has been gutted and the house has significant water and plaster damage. 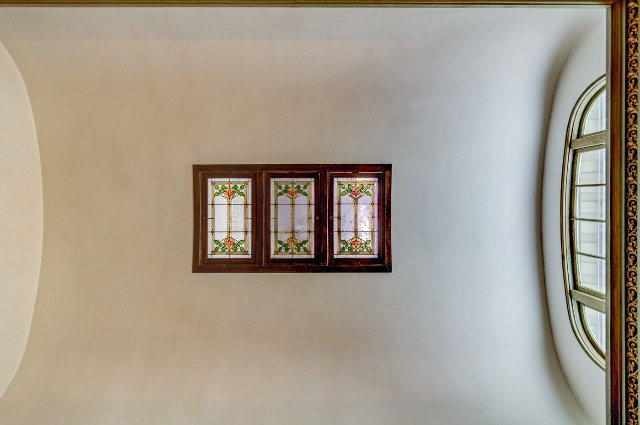 There are a lot of roof tiles missing on the North side of the house and it appears rundown in the auction photos. 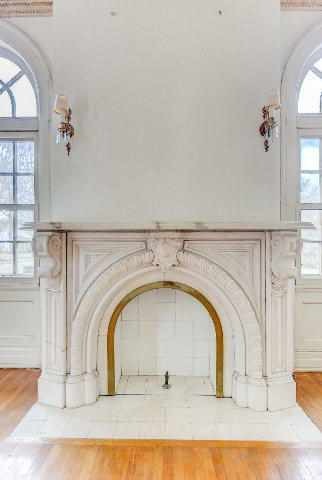 I love the house, but I also understand that it’s an expensive endeavor. I hope someone with sufficient funds buys it and brings it back to life. Karen, if I read your comment correctly, the expensive tile has already been replaced and requires maintenance. It might be difficult to find the right firm for the job, but simple repairs shouldn’t cost an outrageous amount. From overhead photos the main roof is flat, which can be problematic but it’s not tile, and repairs should be straightforward. NRHP designation DOES NOT impose enforcement of any rehab standards, ever, anywhere. In Vicksburg, a Certificate of Appropriateness is required for exterior alterations, which may not apply to the roof repairs. Let’s not make it sound more daunting than it really is. 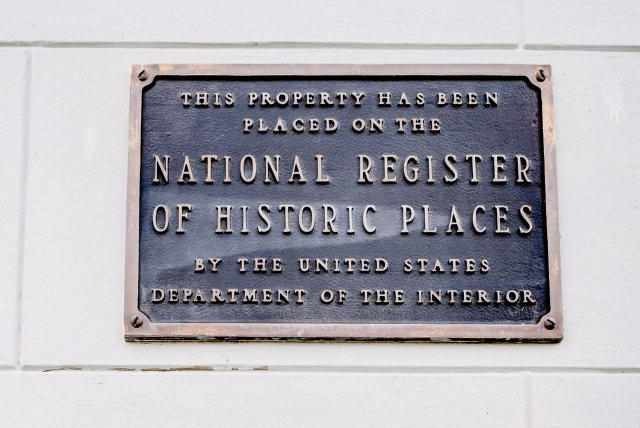 My house is on the National Register. I can do anything I want with it. I can even lop off the top floor if I wanted to, or cover the whole in vinyl siding, or replace the 123-year-old sashes with new windows. You are correct: a NRHP designation DOES NOT impose enforcement of any rehab standards. This is a common fallacy. What might happen, if a house is altered greatly, is that a NRHP designation could be revoked. I heard that only if you take the tax reduction, di they need to approve. I surprised myself by loving the black and pink bathroom! Though not in an idea spot with all the businesses around it this house is a treat for the right owner. I hope someone comes along and keeps it as a home, or maybe a B&B, (that would be ok too) much better than another kind of business. 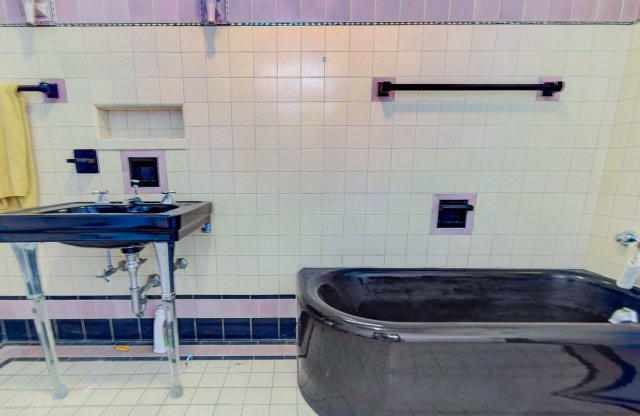 I saw that bath as dark purple tub & sink with lavender tiles… still like it tho. I have been to Vicksburg, MS so many times, but have never seen this house. There are so many antebellum homes there, I guess this one just gets overlooked. Vicksburg has so much Civil War history that this house just does not seem to fit in. It is amazing. I would love to tour this one. 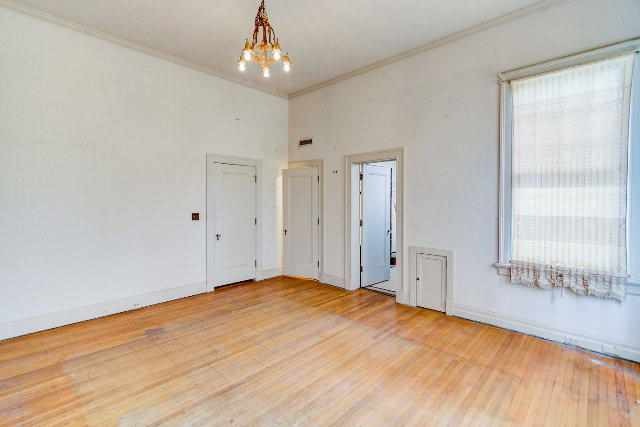 What a wonderful house, But does anyone know what the small door is in the bedroom to the bathroom is used for , I can’t figure it out? there a plumber would have to cut through the bath tub tile surround to access the plumbing in the event of a plumbing problem. Hannah Brown Fischel (1872-1936) was the only child of merchant Victor Brown & his wife Rosalie Roos. Hannah married Alfred Fischel, also the child of German Jewish immigrants who did well in the retail trade around the turn of the century. Hannah’s father and husband both passed away around the time the house was built, and Hannah lived here with her mother. The Feld family owned the home from 1929 until the 1970’s. 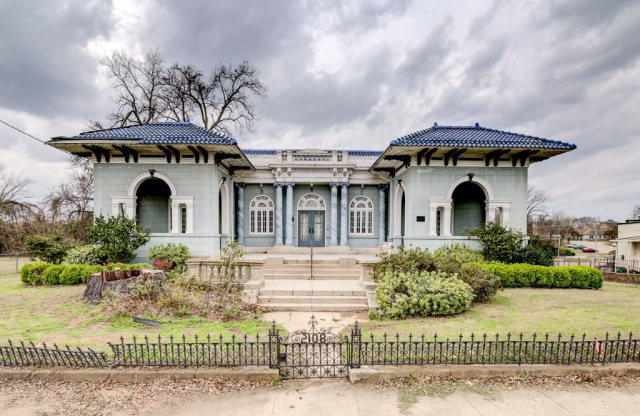 The house was designed by New Orleans architect Leon C. Weiss. My grandparents (Robert and Jean Parker) owned this house in the mid 70’s into the 80’s. I remember being in awe when we would visit. The architect, Leon C. Weiss, was my grandfather. He also designed the Louisiana State Capitol. I’m glad to see this house appreciated and to learn more about his work in Vicksburg. His first marriage was to a woman from Vicksburg and I think he lived there briefly. How cool! Thanks for commenting, Jonathan! I think this is the most intriguing home I have yet seen on OHD. Ok, I mean it this time. This will be the first house I buy if I win the lottery. This is fabulous!! I would only repair and restore every thing that needs it and I wouldn’t change anything else. Accept, I might put a fresco on the wall of the courtyard. After I restored it, I would have free tours once a month. Then I would make sure every company that finds places for movies had pictures of it. 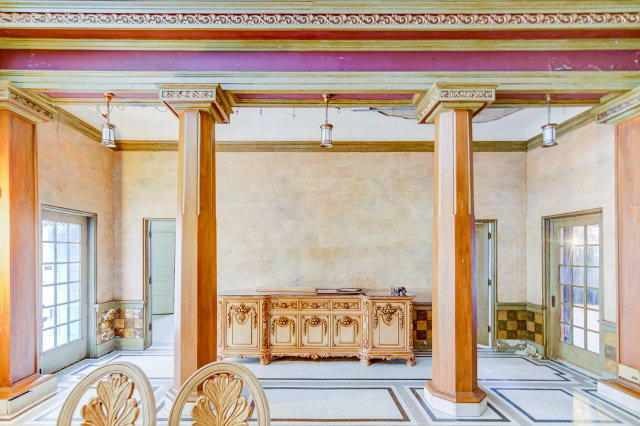 I could see a Roman Senate or Audrey Hepburn in most of the rooms and the paneled room looks like it is a judge’s chamber. Not to mention, doing event planning. I could market this home and make enough money to keep it in perfect repair. 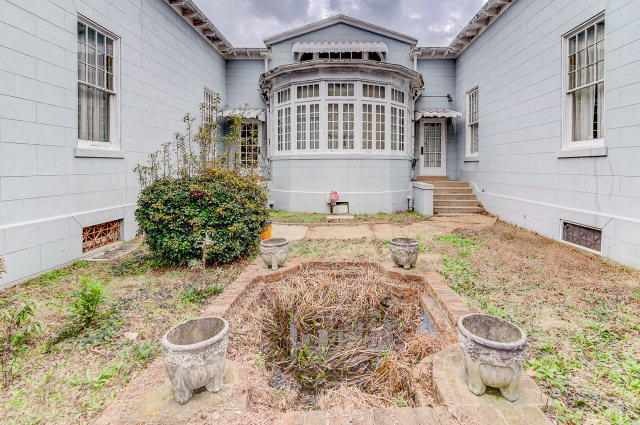 I love, love, love this home and Vicksburg is a great little city filled with old house dreams come true. When is the next Powerball? Where did this house come from? Wow, such and unexpected jewel. So unique but hopefully someone will preserve it! Sadly, these photos do not reflect considerable water damage. Oh my. Wow. I think Ross said it all. I have driven by this home on one of many trips to Vicksburg. Many many years ago it used to be white I found a pic of it somewhere on line. I love Vicksburg and have contemplated moving there several times, as I love the rich history of this little town. However the economy is not what it once was and yes as someone mentioned there is a good bit of poverty in certain areas, mainly downtown where all of the beauty is. I still haven’t completely ruled it out, as we are about to have an emptying nest. It has wonderful restaurants along the Mississippi River. Definitely worth a visit to see this beautiful town all the history it contains. The bathrooms in this house are awesome, along with the rest of this home. Oh yes and The Tomato Place is a MUST! 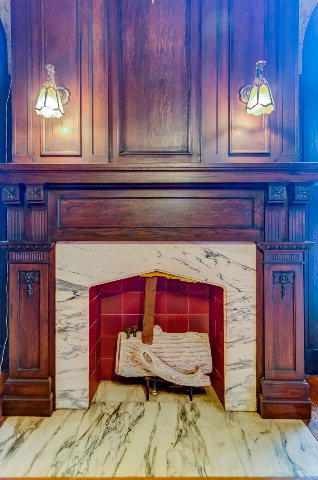 When I saw the initial picture of the home I thought ‘not my style’, but after seeing the rest of the pictures, especially the beautiful floors and fireplaces, I’ve changed my mind! Wowza!! Gorgeous inside and out. I wonder if the concrete drive went to a matching garage or carriage house at one time? Would love to see how this was decorated when new or photo of this place when new. Just beautiful, not a fan of blue until now! I’d forgotten about this house and its wonderful details. I’m so sad to see no one’s taken it under their wing yet! Showing for sale again, confirmed with the agent. I wonder what happened? Maybe LaDona will come back and tell us something. I don’t know what happened with LaDona, but on OHD it’s really common for people to have their offer accepted, and sign an agreement, and say: I purchased the house!!!!!!!!!! Which is why I often ask: Did you close? Because until the deal is closed, it ain’t, well, done. Oh yeah, I know that kind of thing happens. When I bought my house I didn’t want to jinx it by telling more than just a few people close to me till after the closing. It’s unfortunate, though. Take the 3D tour of this house on realtor.com. This is hands down my heart house. I have never loved a house as much as I love this one. I want Ross to buy it with me and help me make it what it deserves to be. What a fabulous 3-D tour!!!!!!!! This is my #1 favorite-ever house on OHD. It’s such an amazingly special place! I do hope someone rescues it. Sqweed big time when I saw that reflecting pool. 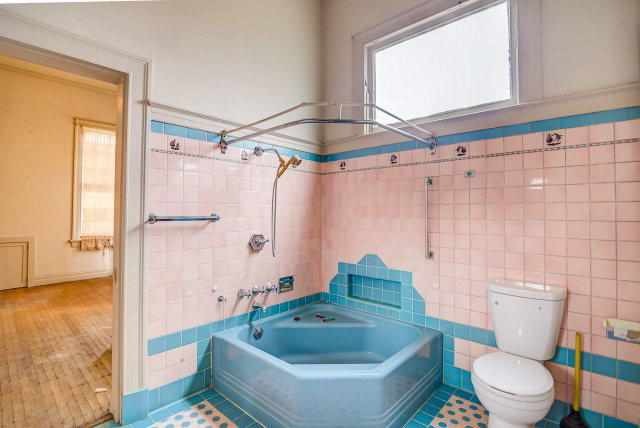 I’m thinking that the corner tub is NOT that old–and the tile floor in that bathroom probably isn’t either. Maybe 1950’s. This sure would be a lot of fun to restore. Yep yep yep. I require photos of the damages you referred to. 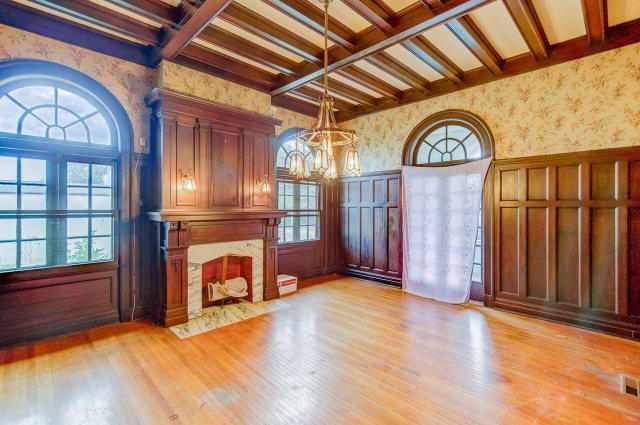 Any chance of getting up-to-date photos of this house?